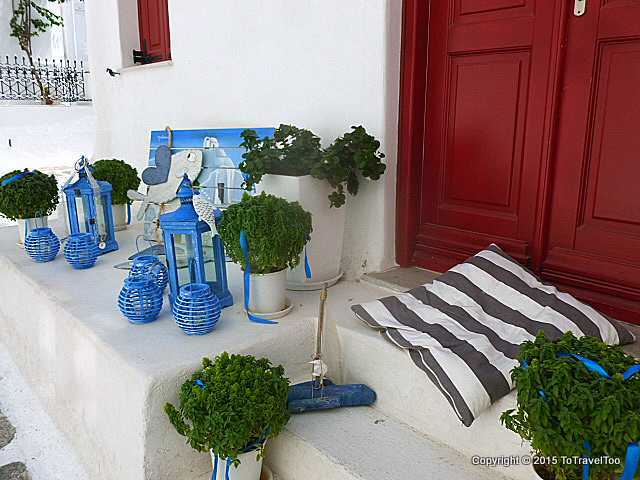 Who loves shopping, how about a day window shopping in Mykonos Town in Greece? 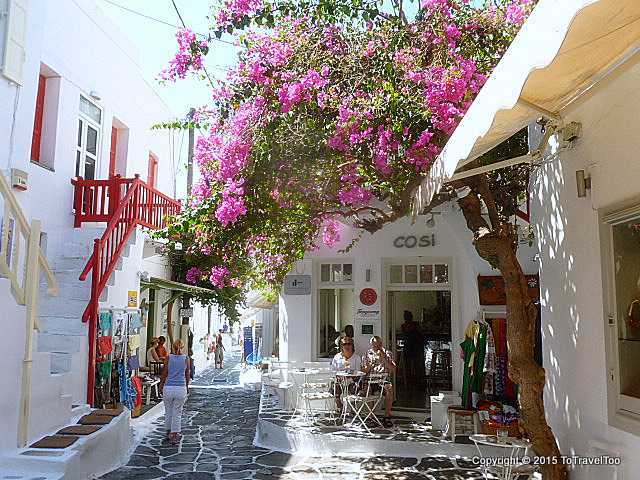 The Greek Islands have some excellent opportunities for shopping. Not only for souvenirs but olive oil and products made from olive oil, wine, jewellery, art, clothes and accessories just to name a few. We only window shop these days as we travel the world with just a carry-on and we don’t have room for souvenirs, maybe a small piece of jewellery or two. 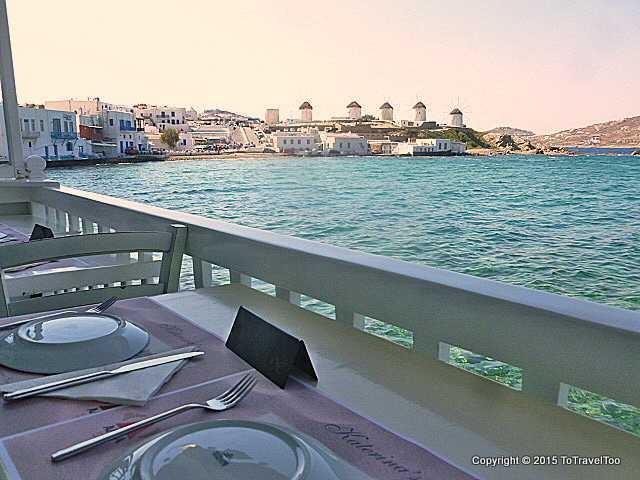 Mykonos has more to offer the visitor than just window shopping. 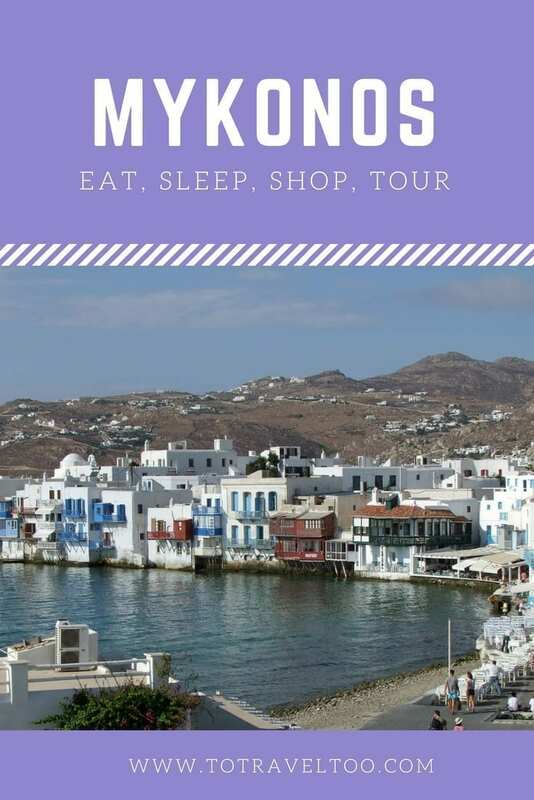 So when you become a little weary of window shopping here are 10 of the best things to do in Mykonos. 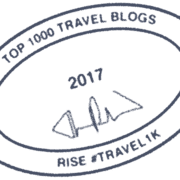 We were staying in Ornos Bay just 3 km from Mykonos Town which is just a short bus ride away and costing under 2 euros per person. A perfect location to stay on the Island of Mykonos, Ornos Bay is a gentle bay suitable for swimming and for families and there are several restaurants on the waterfront with sunbeds available for hire. 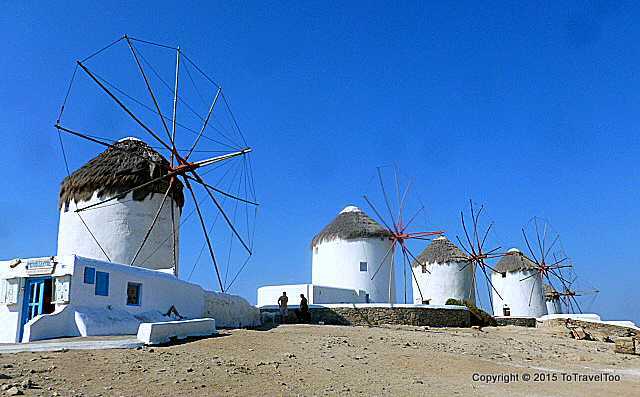 Mykonos is located in the Cyclades group of Greek Islands, in fact, there are 220 in total. 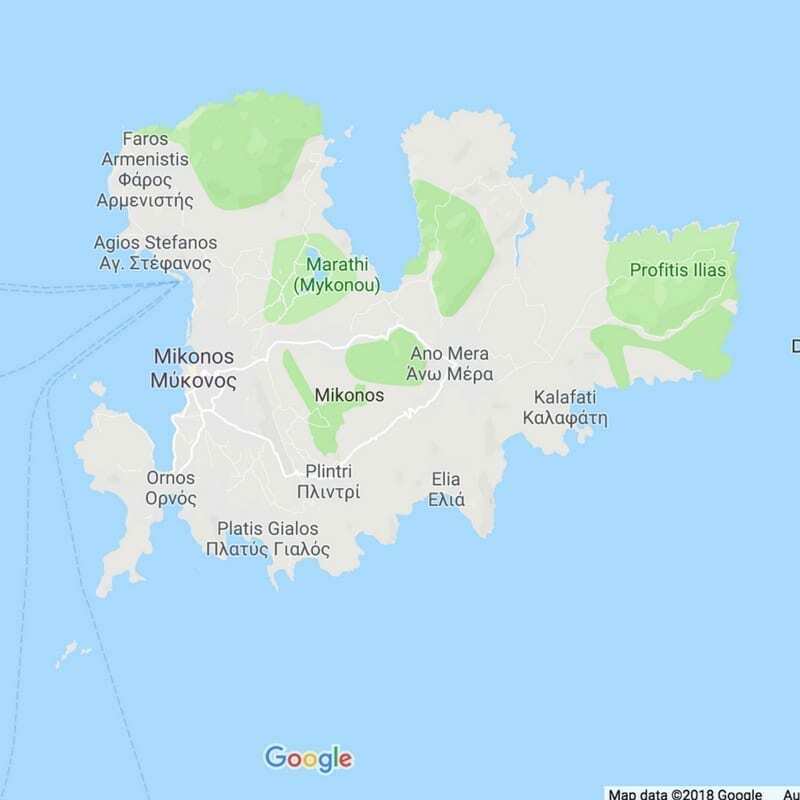 The major ones being Paros, Delos, Ios, Milos, Naxos, Syros, Tinos and Santorini. 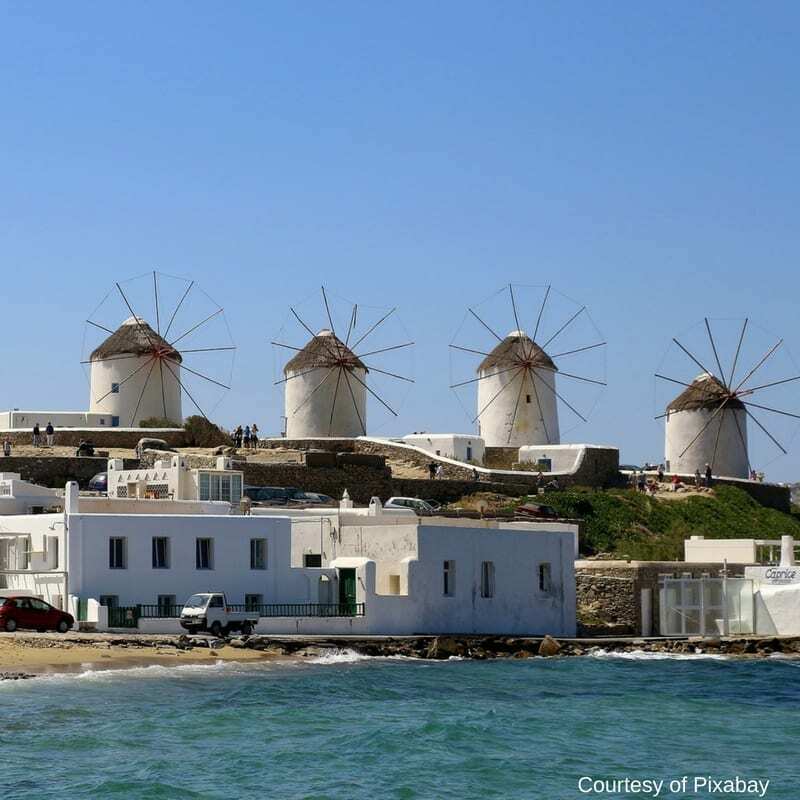 The windmills of Mykonos can be seen from the port to the hills surrounding Mykonos Town. Built by the Venetians in the 16th century for milling wheat they are now no longer operational. Don’t they make it a little bit special on the landscape? We think so. We grabbed a coffee at the famous Katerina’s Bar in Little Venice recommended by Lonely Planet. Katerina was known as Greece’s first female boat skipper at the young age of 18. The view is amazing from the bar. Before we headed into the backstreets of Mykonos Town a coffee was needed and we sat on the open balcony enjoying our coffee and admiring the view. During the 16th and 17th century, Little Venice was used by the pirates for loading and unloading their stolen goods. 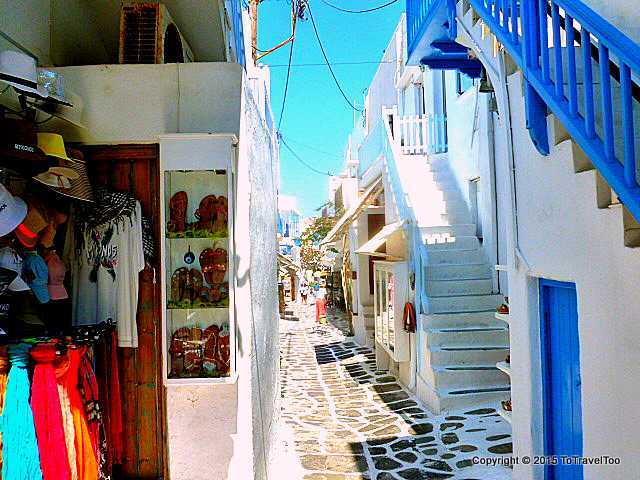 The back alleyways of Mykonos Town are labyrinthine, just accept that you are going to get lost. 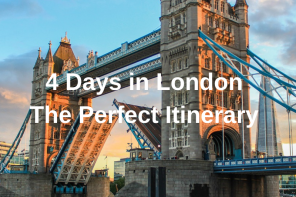 But it is only by getting lost that you find an amazing array of boutiques, designer brand boutiques, shops that specialise in leatherware and olive oil products. 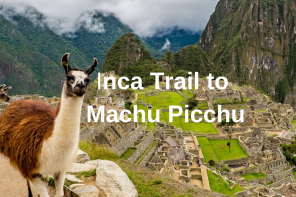 There are numerous art galleries, local craft shops and of course souvenir shops. We loved the smell of the Olive Oil products and their moisturiser is highly recommended. 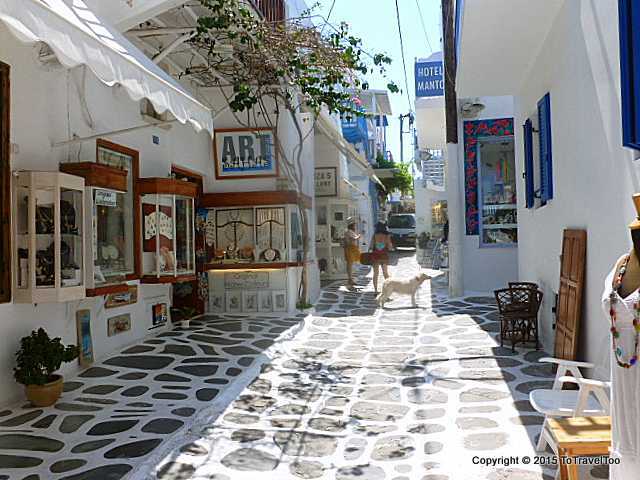 If you are after a gift to take home from your Greek Vacation these are the streets to shop in. It is difficult to find a street name and if you are looking for a particular shop you will need to ask. 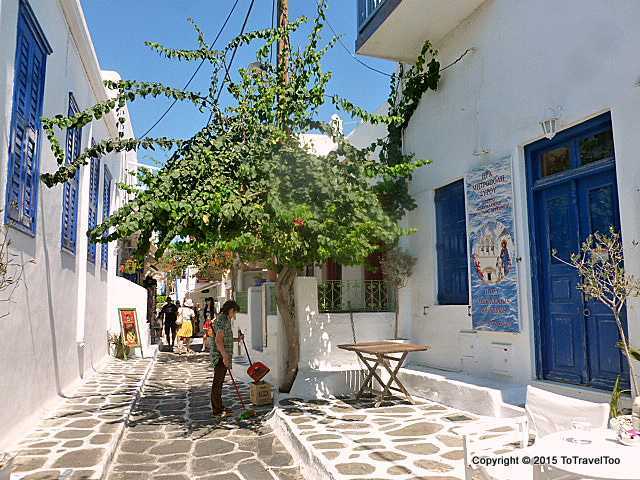 Streets were designed this way to confuse pirates during the post-Byzantine era who would invade the port of Mykonos and end up in dead-end streets where they would be cornered. If you are ever in Istanbul you should visit the Grand Bazaar where shopping is tempting and you will get lost here, no doubt, everyone does! 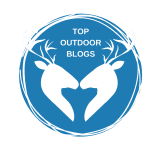 How much do you spend though? 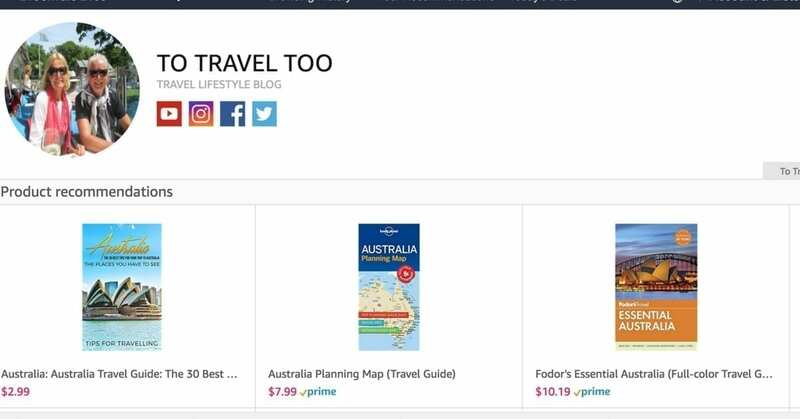 We have our trusty daily travel budget app that keeps us on track and stops us from spending way beyond our budget. Bars and restaurants share the harbour front with iconic blue and white churches. 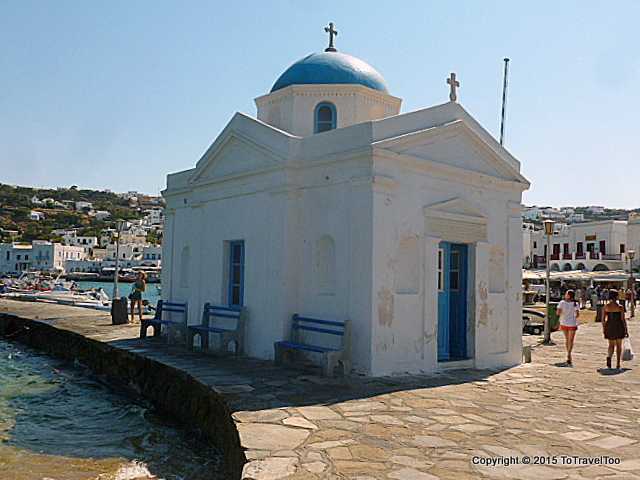 The most photographed church on the harbour front in Mykonos Town is the Agios Nikolakis Church named after Saint Nicholas the patron saint of sailors. Inside the church, you will find chandeliers, a blue painted ceiling and black and white floor tiles and other Greek artefacts. A 4-hour tour that includes a 30-minute journey to Delos by boat to visit the famous archaeological site with a local guide. 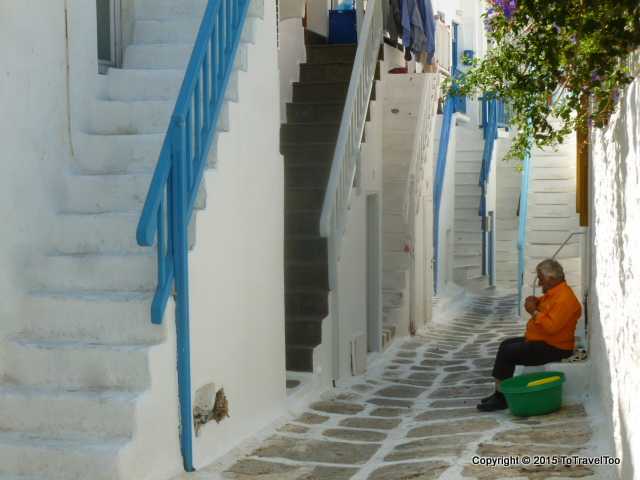 A half day tour of Mykonos which includes a walk around Mykonos Town. A sunset cruise off the coast of Mykonos which includes drinks and snacks. A cooking class in Mykonos learning about the secrets of Mykonos cuisine in a traditional Mykonos home. Explore the hidden Mykonos, beautiful beaches and rural villages by Jeep. Beach hop in Mykonos including 2 hours spent at Paradise Beach. There are many options for Mykonos accommodation through Airbnb. 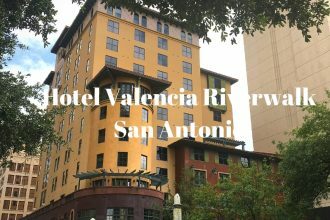 If you are first-time bookers with Airbnb we have a special discount voucher for you. Travelling by ferry around the Greek Islands is easy. There are many options available e.g. a fast ferry from Mykonos to Santorini can take only 2.5 hours and a regular ferry service from Athens to Mykonos can take 5 hours 15 minutes on Blue Star Ferries. We can recommend that you download our article for offline use through GPSMyCity. 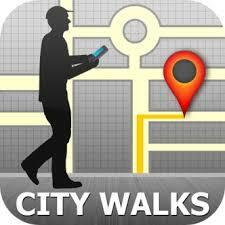 GPSMyCity has a range of articles that you can download and you can be your own guide when you travel. We always recommend travel insurance. The recommended time to purchase travel insurance is when you start paying deposits on accommodation, tours or cruises and your flights. If you are based in Australia click here for more details on travel insurance. 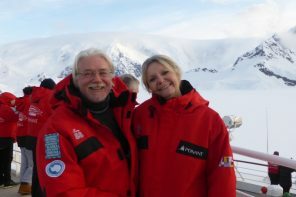 If you are based outside of Australia click here for more details on travel insurance. 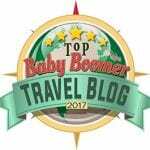 You may be interested in our Santorini article to help you plan you Greek Vacation. 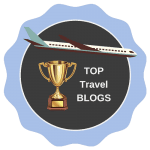 For more information on Greece, we can recommend the following travel guides. 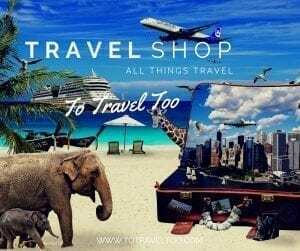 We have a To Travel Too Travel Shop with over 250 travel related products. Very good price for the island 3.5 euros !! I suggest you rent a boat in Mykonos and go to Delos! It’s really worth it! And you will not give too much money ! !